Since 1972, Urban Heating and Cooling has been the leader in providing HVAC solutions for Windsor and the Essex County area. As a family owned and operated business, we have installed, repaired and maintained thousands of different types of furnaces and cooling systems for Windsor-area homes and businesses. 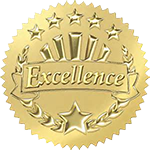 Urban Heating and cooling is a successful business that has earned its reputation as Windsor’s trusted HVAC company one satisfied customer at a time. We use only the very best products and the service we provide is second to none. Our A+ Rating with the Better Business Bureau and feedback from our customers assures us that our work and company is both recognized and respected. 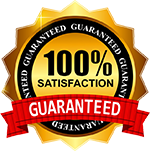 All of our work is 100% guaranteed, and that includes any emergency service work we provide. Our team is always available for emergency service repairs should you need us. Between Gary and other members of his team, you have more than 100 years combined experience in heating and cooling systems. All team members are highly trained, licensed and insured. The work performed by Urban Heating and Cooling is, as always, fully guaranteed. Urban Heating and Cooling, headed by Company President Gary Klingbyle, has won numerous awards for sales, service and quality. Our HVAC Company is known for its industry experience, high quality installations, integrity, reliability and excellent customer service. If you have questions about the heating and cooling services and products we offer, or would like to book a service, contact our team today. We’ll be more than happy to discuss your needs and the solutions we can provide. Urban Heating and Cooling provides HVAC services to the Windsor/Essex County market including, but not limited to, Windsor, Amherstburg, Belle River, Essex, Kingsville, LaSalle, Leamington, Stoney Point, Tecumseh, Tilbury, Wheatley and parts of Kent County.